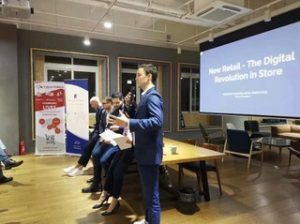 As part of the partnership between Talent Fishers and French Founders, we were very happy to sponsor the latest French Founders event in Shanghai – “New Retail – the Digital Revolution in Store”, on October 30th, 2018. We want to thank Marc Le Roux (SVP Marketing APAC for Adidas), Patrice Nordey (Founder & CEO of Fabernovel Asia) and Ramzi Chaabane (Head of Business & Strategy for Mediamonks) for their insightful presentation, and of course Caroline Doussot from French Founders for the organisation. This very hot topic of New Retail led to many questions and forward thinking discussions among the audience, demonstrating the interest, but also the uncertainty around the impact of the online boom to the offline business, especially here in China. 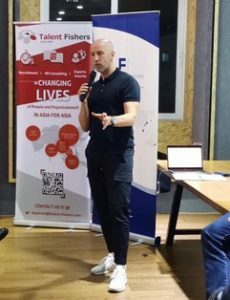 We look forward to the next event on December 4th – a round table about HR challenges in China, led by Talent Fishers’s founder and Asia MD, Fabien Guérin, together with panelists to be announced soon.